January and February rain brought plenty of moisture to our parched soil and with that came plenty of weeds. Now is the time to get them out while the roots are still small and before they start to flower and seed. Once weeds are clear, lay down a layer of mulch or bark to lessen the chance of weeds re-sprouting. Snails and slugs are anxiously awaiting sprouts on your existing plants, as well as the tender, young plants that you are about to place in your garden. To ward off these pests, we like copper tape and snail traps. As the weather warms up, aphids will start making their way out of their winter hideaways and dining on the your plant’s new growth. There are several different ways to attack these pests chemically and biologically. 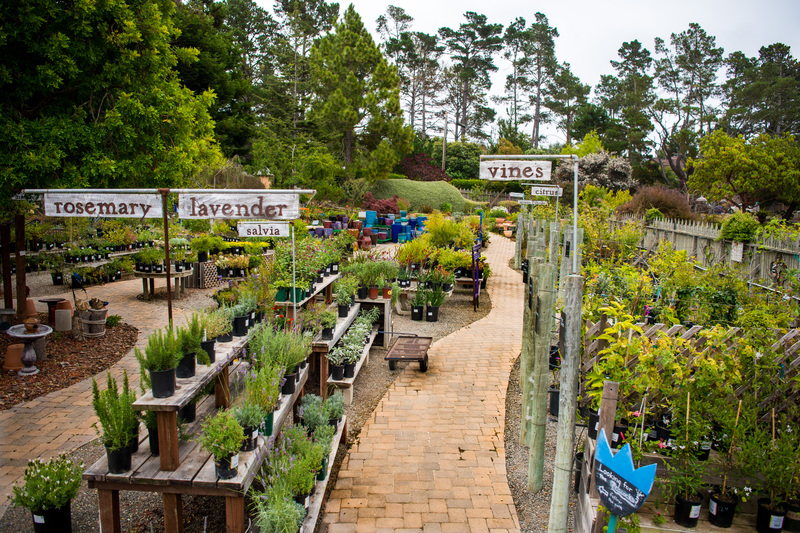 At Cambria Nursery and Florist, we favor Neem Oil and ladybugs, but feel free to come in and talk to our nursery associates about other options. March is a great time to start fertilizing your garden. Blooms will come faster and be bigger and your shrubs will be lusher and greener. For a water-soluble fertilizer, we recommend MaxSea fertilizer and for a granular product that mixes into your soil, we carry a wide range of G&B Organics fertilizer. Now is a good time to planting Azaleas and Camellias. Plant in a slightly more acidic soil and make sure the root ball is an inch above the ground. We recommend MaxSea Acid plant food for your fertilization needs. Some of your perennials will start to bloom soon but for instant color, plant a swath of already blooming annuals. Not only will it look beautiful, but they can help take away those winter blahs. Some of the perennials that you will see for sale in the Nursery now are poppies, snapdragons, dianthus, calendulas, foxglove, nemesia, pansies, stock, Santa Barbara daisies, marigolds, petunias, coreopsis, violas, bidens, calibrachoa, osteospermum, anemones, felicias, and more.